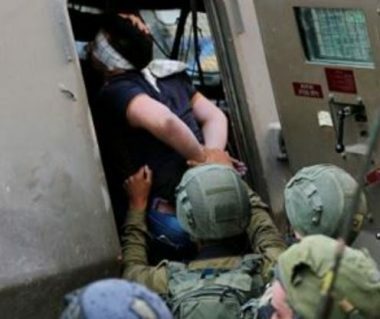 The Palestinian Prisoners’ Society (PPS) has reported that Israeli soldiers abducted, late at night and on Thursday at dawn, twenty Palestinians during extensive invasions and violent searches of homes, in several parts of the occupied West Bank. In Bethlehem, the soldiers abducted Wajeeh Zoheir Awwad, 25, from his home in the al-Jabal area, and abducted another Palestinian in addition to assaulting a third, in the al-Khader town, south of the city. Furthermore, the soldiers abducted four Palestinians, identified as Hilal Bilwani, Majdi Oleyyan, Ahmad Abu Ra’ad, from Nour Shams refugee camp, in addition to Mahmoud al-Fahmawi, from Anabta town, east of Tulkarem, in northern West Bank, after invading their homes and violently searching them. In Jenin city, also in northern West Bank, the soldiers invaded and searched homes in Jenin refugee camp, and abducted Moath Abdul-Latif al-Fayed, Na’im Jamal Zobeidi, Yahya Jamal Anteer and Khalil Mohammad al-Hindi. The soldiers also assaulted and injured Zobeidi’s brothers, identified as Antwan and Mohammad. In Salfit, in central West Bank, the soldiers abducted Khaled Mohammad Hakim, his from Tha’er, in addition to Attaf Sa’id al-Qadi and Yousef Mohammad al-Qaisi, from Deir Istiya town. In Ramallah, in central West Bank, the soldiers abducted Ahmad Abdul-Karim Oweida, Mohammad Abdullah Abu Khalifa, 17, and Mohammad Khaled Barghouthi. In occupied Jerusalem, the soldiers abducted Wisam Ahmad al-Mekhel, and his brother Mohammad, from al-Ezariyya town, southeast of the city. In Silwan town, south of the Al-Aqsa Mosque in Jerusalem, the soldiers abducted Luay Sami Rajabi in Batn al-Hawa neighborhood. It is worth mentioning that the soldiers abducted, on Wednesday evening, four children, ages 13-15, from Shu’fat refugee camp, in the center of Jerusalem. Also on Wednesday evening, the soldiers released a young man, identified as Monther Jamjoum, from Silwan town, on a 5000 Shekels bail, and ordered him under house arrests for five days. The young man was also ordered not to see, or communicate in any way, with his friends for thirty days. He was taken prisoner, on Wednesday evening, after the soldiers alleged he “attacked settlers” in Bab al-‘Amoud area.